Song for the Mute was born in 2008 from a desire on behalf of its founders - fashion designer Lyna Ty and graphic artist Melvin Tanaya - to “innovate menswear and construct a new 21st century silhouette with non-ordinary fabrics”, and its aim has always been to inject a sense of intrigue in the wearer as a counterpoint to corporate uniformity. The imagination and design perspective behind the label is surely one of the most exciting things to happen to menswear in this country for quite some time. The fluidity, lightness and raw detailing of its Spring Summer 10/11 collection has evolved in the label’s latest Autumn Winter offering, which sees them working with deerskin, organza silk and mohair. Tanaya confesses that, for he and Ty, “inspiration for any new collection almost always comes from the fabrics sourced”. It then becomes a question of design and construction, which is “heavily based on heightening tactile sensations to convey quality”. Entitled ‘Milieu’, the A/W 11 collection featured above explores the context of the pair’s relationships with their grandmothers, who encouraged their pursuit of design. As their “first serious foray into constructing with unique blends of Australian wool”, the harsh strength and heaviness of much of the fabrics (and colour palette) is counteracted by fluid silhouettes, and the quiet fragility of Polish model of Balenciaga fame Pawel Bednarek, shot by Bowen Arico. ‘Milieu’ is another successful exploration of the driving concept behind Song for the Mute: “the directional struggle encountered by the contemporary male”. And industry insiders agree: Showroom ROMEO in Paris has taken the label on board and will be representing it in the region, while the L’Oreal Melbourne Fashion Festival panel, headed by Vogue Australia’s editor-in-chief Kirstie Clements, has nominated Ty and Tanaya for the 2011 Designer Award. Beyond its highly self-assured aesthetic, one of the strongest aspects of the label is undoubtedly the creative partnership between the two well-regarded designers. Parisian-born Ty completed her Masters at the renowned Accademia Italiana di Moda in Florence in 2006, on the back of a scholarship from the Whitehouse Institute of Design, while Tanaya is a graduate from the Billy Blue School of Graphic Arts. Ty’s skills and experience in designing garments are merged with Tanaya’s creative direction and business acumen: the result is a successful “feminine and masculine balance [that] solidifies their converging ideas”. Founded, based and represented in Sydney, Song for the Mute certainly speak volumes as to the creative energy and global outlook of our city. 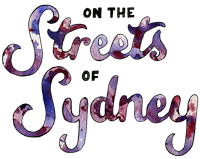 To champion these Sydney wunderkinds and invest in the Song for the Mute philosophy, head to The Candy Store at 643 Bourke St, Surry Hills or Desordre at 323 South Dowling St, Darlinghurst. For-Tomorrow also currently stocks the label’s S/S collection online. Song for the Mute | Milieu, Autumn/Winter 2011 Collection from Song for the Mute on Vimeo. Those pieces are incredible! They are so, Melbourne-like with all the black. Incredible collection..Australian fashion reflects a vivacious, rich іn colour, fresh and exuberant style.